Sign up to our 2020 Desert Medicine course and you’ll find yourself on a journey of discovery and learning in one of the most beautiful settings on earth. The stunning Sharqiya Sands in Oman play host to our Desert Medicine course providing the perfect desert environment; rolling sand dunes, spectacular mountains and only Arabian nomads and camels for company. As with all the World Extreme Medicine courses, our aim is to provide a practical training course that endeavours to make those attending more comfortable using the medical skills they already have in an austere environment. Quite often in such extreme conditions, the environment can become a distraction and the focus taken away from the casualty and their needs. By offering practical learning in a specific environment and providing the skills needed to survive, course attendees will become better at diagnosing and practising their medicine, which in turn will lead to better patient care. Be better equipped and confident in providing the right assessment and treatment in a desert environment. Acquire and develop extreme medicine skills that can be used in any austere environment as well as specific skills applicable to desert medicine. Enhance knowledge and skills relating to understanding, diagnosing and treating endemic illnesses, trauma plus specific desert and heat-related illnesses when presented. 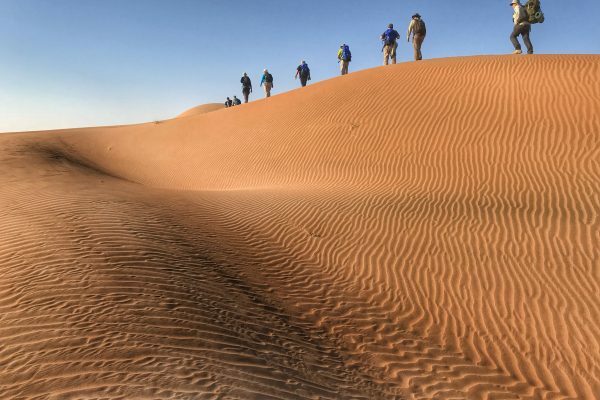 Understand and develop the non-technical expedition skills required in a desert environment such as pre-expedition planning, communication, navigation and trekking, plus evacuation and rescue scenarios. What will I learn on the Desert Medicine course? Our Desert Medicine course is a great example of an amazing training programme on the ground in one of the most inhospitable places in the world. This course runs more like an expedition; so real-life experience learning about core and desert specific field skills such as public health, navigation and casualty evacuation chain, interspersed with specific medical training. Plus, the best part of the course, actually getting out into the desert and sleeping under the stars – a magical experience not to be missed! As part of the medical training on our Desert Medicine course, you will be looking at managing the endemic diseases often seen in the desert. You’ll be learning and talking a lot about the heat and acclimatisation, how to manage heat illness, as well as dealing with potential traumas associated with the sort of vehicles used in our journey. This specialised course is open to any qualified medical professional wanting to expand their knowledge and skill set in Desert Medicine; with a particular focus on heat-related illnesses and endemic diseases. The course offers a unique learning opportunity whether you are looking for a once-in-a-lifetime experience in a beautiful location or need to learn new skills for your job. It’s perfect for potential and existing expedition medics looking to take their medical skills into the extreme, physicians who want a higher level of understanding or anyone wanting to work in an austere environment, as a lot of the core field skills learnt can be transferred across the various environments. The medics who would benefit the most and are those that will actually find themselves working in the desert or in a hot environment. The majority of attendees from last year’s course were medics who were going to be working in a desert environment and from their feedback, they found the course really beneficial. 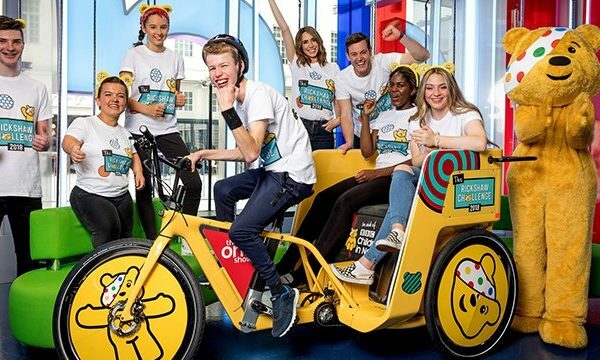 Where else in the world could you receive such hands-on experience, be part of a unique learning experience and have an adventure of a lifetime. To find out more and to experience our Desert Medicine course for yourself, please click here. Take your medical career to the next level – book your place today! We’ve brought together a fantastic team of individuals for our unforgettable Desert Medicine course taking place in Oman this January; all with an amazing wealth of experience across the world’s deserts. 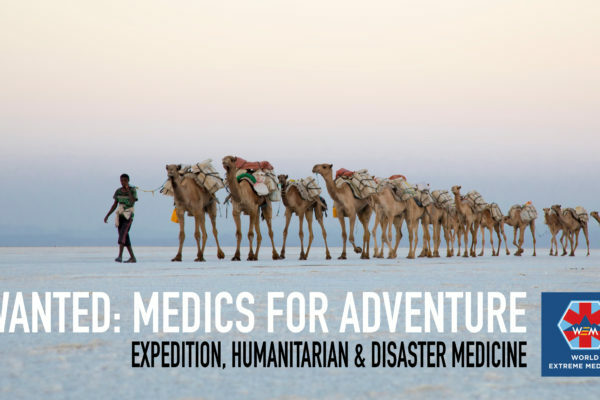 They will be sharing their extensive knowledge and skills to give you a comprehensive understanding of how to lead and provide medical cover on desert expeditions. As a former Fellow of the Royal Geographical Society and the first person in the UK to become a Fellow of the Academy of Wilderness Medicine, Sean is the perfect person to lead our Desert Medicine course. Using his impressive knowledge and advanced expedition experience, Sean has ensured this will be an adventure you will never forget! Sean has been involved in a wide variety of expeditions over the last 20 years, from trekking across the Darien Gap and the Thar Desert, to working as a trekking guide and Chief Medic for Raleigh International in Namibia and Zimbabwe. Plus, in 2016 he was the medical lead for the expedition ‘Crossing the Empty Quarter’, the first ever crossing of the Rub Al Khali; the largest sand desert on earth and one of the hottest, driest, most inhospitable and loneliest places on earth. In 2002, Sean co-founded Expedition and Wilderness Medicine (now known as World Extreme Medicine), which seeks to provide comprehensive training for medical professionals working as expedition medical officers in a variety of extreme and remote environments; and in 2004 Sean became a medical consultant to the Foreign and Commonwealth Office, working throughout the Middle East. Sean and has been exploring and working in desert environments throughout his career and in 2017, he was awarded an MBE as Co-founder of World Extreme Medicine and Medical Lead, UKMed, Cumbria for services to Providing Medical Aid and Education. Originally trained as a physiotherapist, Alex went on to study medicine and is now a doctor in the Royal Navy, spending the last few years serving as a Royal Marine Clinician. 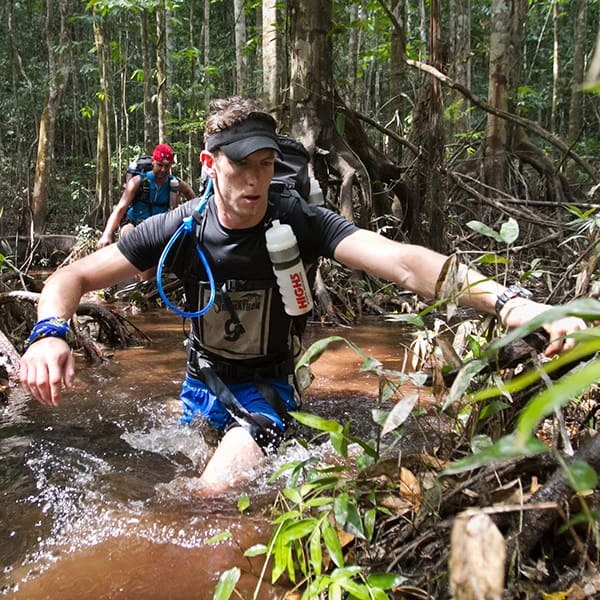 Having developed a taste for endurance sport, including running through the Amazon for Men’s Fitness Magazine as part of their ultra-marathon team, Alex is no stranger to challenging environments and extreme medicine. It was during an ultra-marathon through the Namib desert when he developed rhabdomyolysis, the breakdown of damaged skeletal muscle, that Alex first became curious about the field of wilderness and extreme medicine and has since led him to become involved in the medical support of events in the UK and abroad. Alex joins our team having completed the 2017 British Trans-Americas Expedition, a six-man military expedition that rode from Ushuaia, Argentina to Prudhoe Bay in Alaska on CCM GP450s. As the medical officer on this incredible 20,000-mile motorcycle record attempt, Alex was responsible for the planning and execution of the medical component of this expedition. From managing a whole team with altitude sickness in the remote Bolivian Andes to being hit by a car in the murder capital of the world, the trip was certainly eventful and put his wilderness medical skills to the test. Over our 6-day course, Alex will share his experiences and lessons learnt from planning and executing remote overland travel. Mohammed and his team at Outward Bound Oman will be running the logistical elements of our Desert Medicine course. Having spent much of his time instructing and leading groups of people on challenging journeys across the desert, Mohammed knows the stunning Sharqiya Sands like the back of his hand and will be using his skills to lead the group across the immense sand dunes on a linear path leading them back to base camp. Mohammed was also part of the amazing expedition team (alongside Sean Hudson and Mark Evans) who recreated the 1930 journey led by British explorer Bertram Thomas. The 2015 ‘Crossing the Empty Quarter’ expedition traced the route taken by Bertram and his team, a journey of 1,300 kilometres, across the biggest sand desert on earth. In keeping with the original expedition this challenging journey was conducted solely by foot and camel train; negotiating sandstorms, unforgivable desert landscapes and combatting the scorching heat. With twenty-two years spent living and travelling extensively across Arabia, Mark brings an incredible knowledge of exploration and an unrivalled knowledge of the area, particularly in Oman. It was his entrepreneurial spirit and passion for exploration and education that led him to set up Outward Bound Oman in 2009, our base for this Desert Medicine course. His incredible achievements include completing an 80-day camel expedition, a 49-day crossing of the Rub Al Khali, a 55-day 1,700 km solo kayak journey along the entire coastline of Oman from Musandam to Yemen, and extensive remote 4×4 journeys throughout Saudi Arabia and Oman. 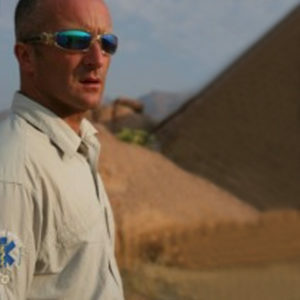 In 2011 Mark was awarded the MBE for his work using expeditions to promote intercultural understanding between young people from western and Arab cultures. Mark is a fellow of the Explorers Club of New York, and The Royal Geographical Society in London and in 2018 was made an Honorary Fellow of The Royal Scottish Geographical Society. Join us in January 2020; learn with this incredibly experienced and knowledgeable team, and be part of something amazing. Book your place today!